A memorandum with demands was given to chief minister Siddaramaiah. Since the chief minister was out of town, it was accepted on his behalf by housing minister, M Krishnappa. Protesters in Bengaluru said tests for government jobs were skewed in favour of Hindi speakers. 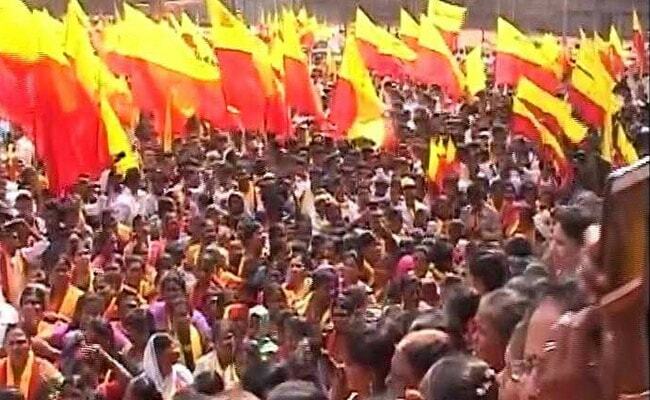 Bengaluru: Karnataka jobs for Kannadigas - that was the demand of a rally in Bengaluru on Saturday. The protest was organised by a branch of the Kannada Rakshana Vedike - these groups have been at the forefront of other agitations too, such as the one against Hindi signboards in the Bengaluru Metro. The demands include 100 per cent reservation of jobs only for people from Karnataka in all state government departments and industries. They also say that union government departments in the state must recruit only those people from Karnataka who have studied Kannada in school. All banks - government and private - must recruit candidates who have studied Kannada in school, they add. The groups also say that people should be considered citizens of Karnataka if they have lived in the state for 20 years and know Kannada. Protesters demanded affirmative action in jobs for Kannada-speaking people. KRV chief, Narayan Gowda said, "85% of all jobs - whether in state or central government, public or private sector must be reserved for Kannada-speaking people. That is the demand of the Kannada Rakshana Vedike." He also called for the implementation of the decades-old Sarojini Mahishi report that had spoken of job reservation for Kannadigas and was submitted back when Ramakrishna Hegde was chief minister in the 80s. Arun Javagal of the KRV's IT cell said, "We are demanding that the state and union government make policies that will help the people of Karnataka get employment in jobs crates in Karnataka. There is no policy as of now. So as a result, many jobs in Karnataka are going to other state people. Central government job exams are conducted only in English and Hindi which is creating unfair competition where Hindi speakers can write the exams in their own language, but non-Hindi speakers, including Kannadigas have to depend on English." A memorandum with these and other demands was also given to chief minister Siddaramaiah. Since the chief minister was out of town, it was accepted on his behalf by housing minister, M Krishnappa. Mr Krishnappa defended the protesters when asked about the traffic jam caused by the procession. "Everybody has the right to protest. 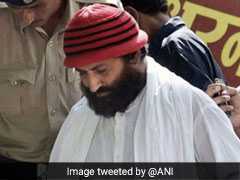 It is an issue regarding Kannadigas," he said, insisting it was not connected with the upcoming elections.